Are you in the market for a canopy that comes with a very sturdy design that will not move on you by accident? 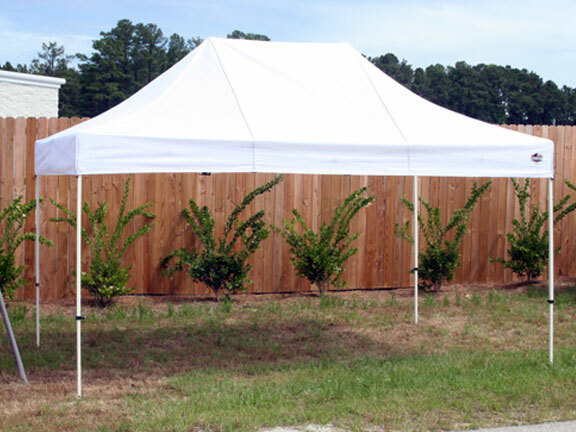 If so, then the King Canopy 15 foot by 10 foot Festival Straight Leg Instant Canopy is a product that merits your investigation. From a heavy duty rolling bag that makes transportation to the site a breeze to twist buttons that make set up and tear down a cinch, there is no aspect of this product that you and your family will loathe. * Please Note: Flame Certifications are not sewn on. Side Height: adjusts from 6'2" to 7'2"
What is the overall weight of the King Canopy, 15 x 10, Festival Straight Leg Instant Canopy, including the roller bag? The overall dimensions of the King Canopy 15 Foot x 10 Foot Festival Straight Leg Instant Canopy when folded and in the bag are 65 x 13 x 10.